How do we manage our emotions? How do we keep them from boiling over and paralysing us? Lisa Ma, an event coordinator at Networx Brisbane and Iceberg Events, spent much of her formative years being controlled by extreme anxiety. On the latest episode of Bond Appetit, we had a candid talk about her years in university and how anxiety, depression and nervousness controlled her life. It’s something I’ve also dealt with. I remember when my wife was telling me one day how she was feeling ‘butterflies’ in her stomach over something she was nervous about. “Oh, I have that feeling everyday,” I told her. She was a bit taken aback. “That’s not normal,” she said. That’s when I realised how much I had taken my base level anxiety for granted. I had just become so accustomed to feeling nervous all the time (I was dealing with more than $400,000 in debt and struggling to get my businesses off the ground). Sound familiar? I think many of us could relate. Not just those in ‘high-stress’ industries like business or tech, but anybody in today’s world could say they struggle on a daily basis with anxiety. We forget that this isn’t something that’s entirely normal, or at least something we should be okay with. Yes, a certain degree of anxiety and stress are good for getting us out of bed in the morning and keeping us from letting our projects go by the wayside. But there is a marked difference between being productive and being neurotic, where we’re inhaling coffee by the gallon and running around in a frantic state. Lisa had some good things to say during our talk about managing emotions. “I understand that emotions can be a good thing and we should acknowledge them,” she told me. A big problem with people, thanks to our love of avoidance, is that we’re great at pushing our emotions back down inside us. We drink, or we numb ourselves with TV or internet, or we just keep ourselves busy. Anything to keep us from being alone with our thoughts and emotions. Lisa says this is the wrong idea, and I totally agree. The key is to find healthy outlets for how you feel. If you’re angry? Go boxing or listen to some loud music. When Lisa is scared about something, she says she likes to watch horror movies. That visceral feeling of fear amplifies her anxiety and puts it in perspective. 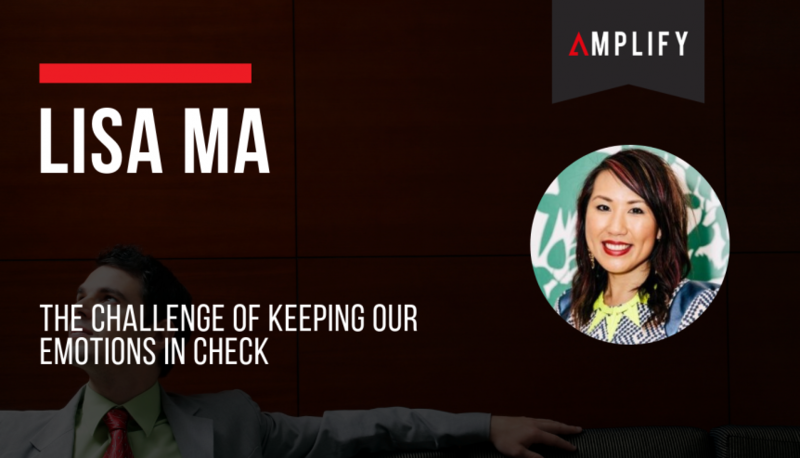 For more great insights and advice check out the full interview with Lisa Ma here.